Local Store Marketing, or “neighborhood marketing,” refers to complex and variable distribution based on the needs of individual business locales. This means meeting the needs of the store based on consumer, competition and store characteristics on a local level. It's no longer about B2B2C or B2B2B. It's B2Local. It's about managing the complexity of delivering marketing materials from the national brand to the local market, and from the local market to local consumers. all while eliminating waste and reducing costs. 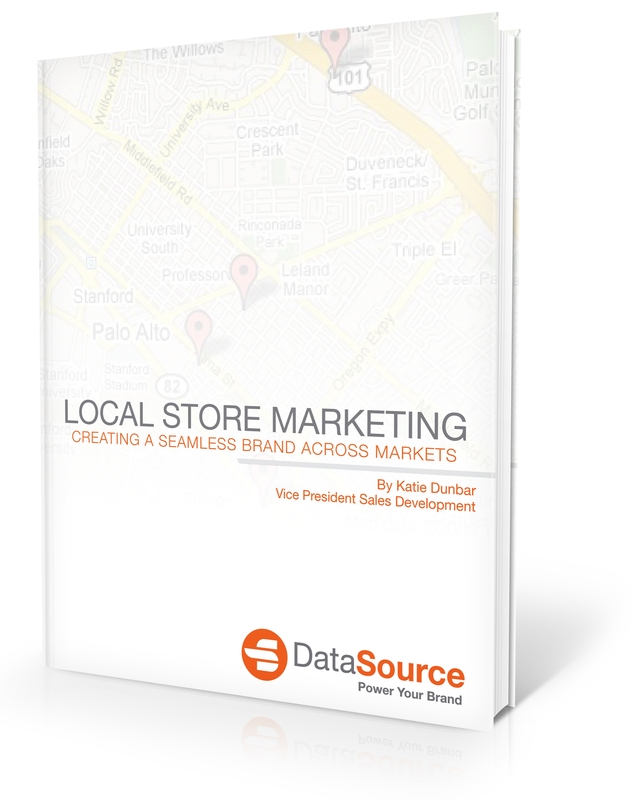 In this DataSource “Local Store Marketing” guide, we explore the challenges today's marketers face in providing localized materials, on demand, with localization and brand control, all while keeping costs down. Download now to see how these three local store marketing technology "must haves" can help you localize content, control brand and reduce waste. How do you execute B2Local? Download now and help your brand overcome the complexities of local store marketing.